Revolutionary new lashes with a deep Americano tone, perfect for clients with dark and fair colouring. These super lightweight, new lashes are the luxury necessity for your lash collection that you and your clients will adore! Mixed Size 0.07 VOLUME MAYFAIR MINK eyelash extensions are very light weight and fine lashes. They are perfect for creating 2D-6D fans. C, CC, D curls available in 0.07 thickness so you can choose which look you want to create for your clients. 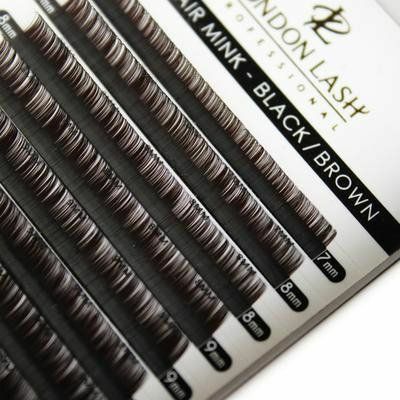 Need advice about 0,07 Mixed Size Black Brown Mayfair Mink Lashes C/CC/D?